* Discount on the price of the skipass on the week option. Follow in the footsteps of the champions ! Break your own records and compare yourself to the Champions ! The competition training courses will help you reach your own goals such as crossing slalom gates, mastering slaloms, and smashing records ! 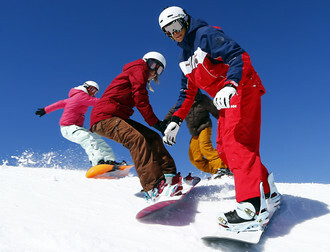 Our specialized instructors will train you like the top-level skiers ! Try out our adult and children training courses ! *NEW! PERFORMANCES training courses: Silver Flèche level minimum; 10 students maximum. Only during Christmas holidays and February half-term! Take your holidays to the next level with the ESF Auris! Enjoy our training courses and improve with our competition specialized instructors. Train for the Flèche or Chamois tests. Improve your freeride technique, learn how to make large and narrow turns and to control your speed. *If there are not enough participants, the lesson can be cancelled by the ESF. •	The INITIATION ADULT lift-pass is a pass for ALPE D'HUEZ Grand Domaine Ski access. All our lessons take place in Auris domain. 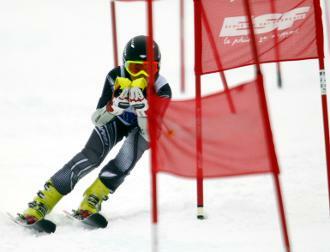 -A beginner's Auris lift pass is necessary to start lessons. Adult (13 - 64 years old) beginner to first class only. A beginner's Auris lift pass is necessary to start lessons.